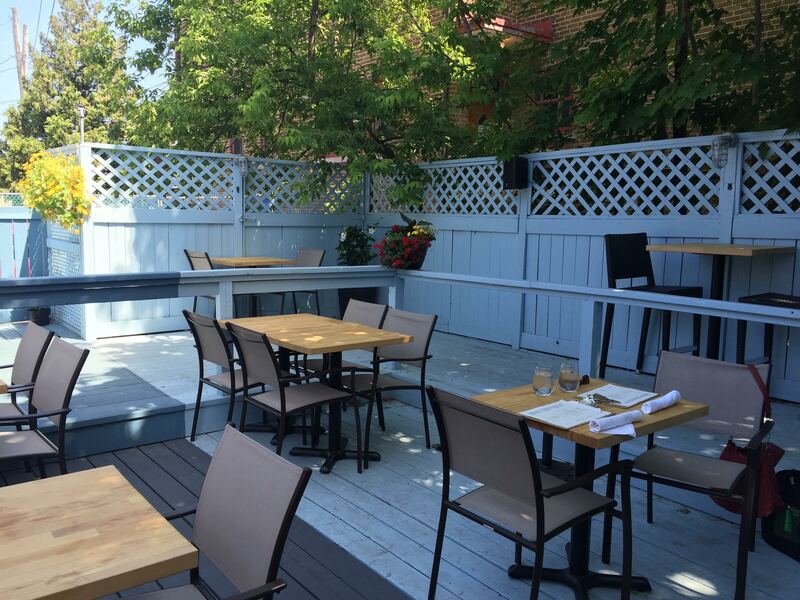 We add this one to The List of ‘Splendid Summer Patios on which to Drink and Dine Well’. It’s not a long list, so best take note. Soif is the Gatineau wine bar opened late last year by superstar sommelier Véronique Rivest, now with chef Jamie Stunt in charge of the kitchen. You will remember Stunt from his days at Oz Kafe on Elgin Street. Seven years he laboured in that teensy space, putting Oz on the national stage when he and his team won the regional Gold Medal Plates competition in 2012, and then went on to win silver at the Canadian Culinary Championship in Kelowna the following year. He also put Tibetan yak on the Canadian culinary map (from Rosemary Kralik’s Tiraislin Farm), and proved how well the Ashton Brewing Company can create a craft beer to match that exotic meat. But those are stories for another column. My first taste of Stunt at Soif was at a soup and salad lunch on that lovely back deck, shaded at noon with mature trees and with a view of some rooftop container gardening. Always a welcomed sight. Stunt gave spring tomatoes some serious smack by smoking them before pureeing them into a rich red soup. It arrived seasoned well, lightly creamed, lightly oiled, topped with chives. Very nice. And then mixed Marineau mushrooms (from Le Coprin farm) on toasted baguette. 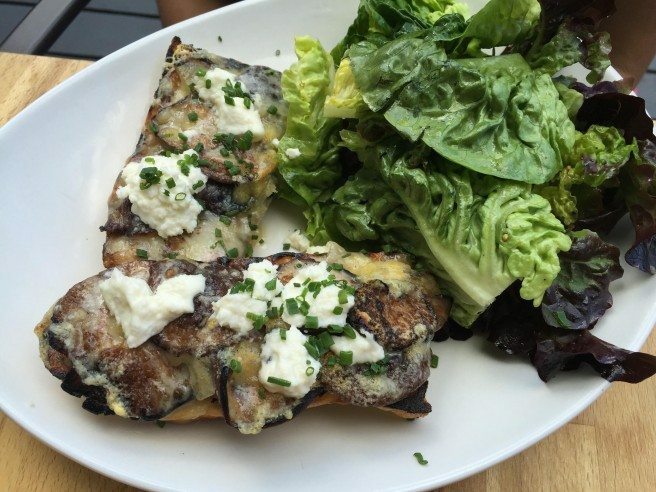 Garlic, onion, mushrooms, wine, dobs of ricotta and snippets of chive piled on good bread, then under the broiler until browned and burbly, served with a side of well dressed greens in bouncy condition. Does it get more perfect? A wine was chosen to match by a charming server. Can’t for the life of me remember which one. But I do remember three ounces didn’t seem enough.